The front features Beautiful Scenery – a painting which creates a story from a village sketch, scraps of Greek text, and writing from a vintage postcard from Corfu. 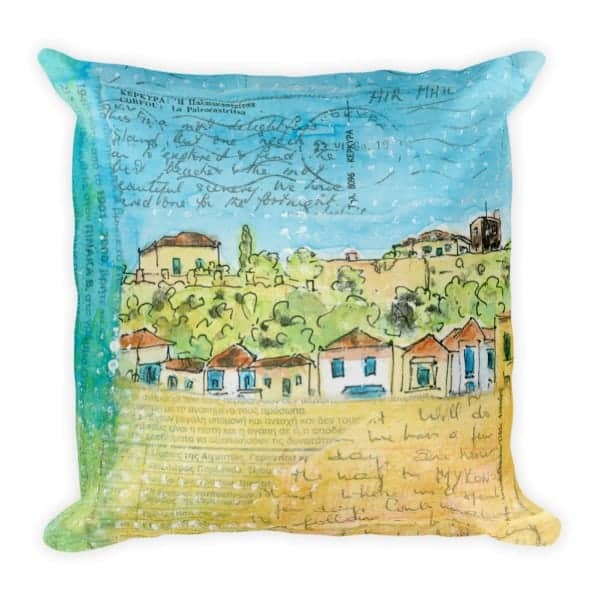 The back of the cushion has a specially designed textured print to complement the front, in shades of matching blue. Beautiful Scenery pairs very well with Three Boat Collage, should you want a pair of co-ordinating cushions for your sofa. 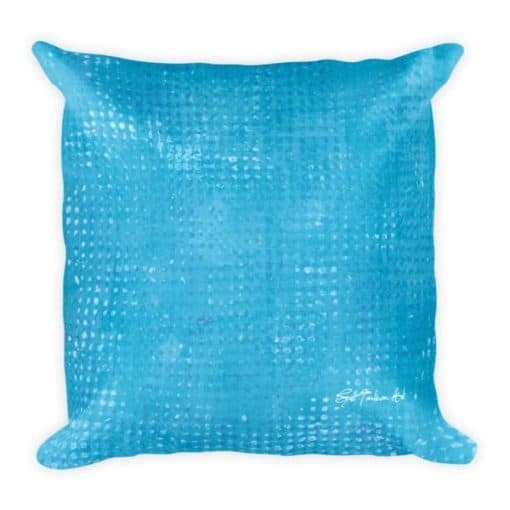 Both cushions have the same shade of blue design on the reverse.